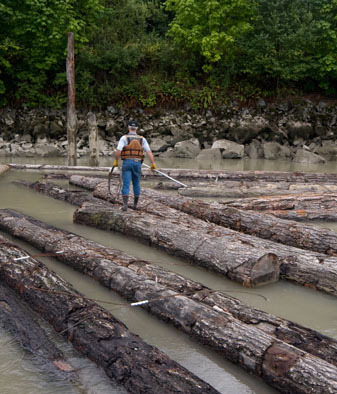 Log Handling and Storage – Forrest Marine Ltd.
Forrest Marine Ltd. has significant fresh water log storage in and around the mouth of the Pitt River. 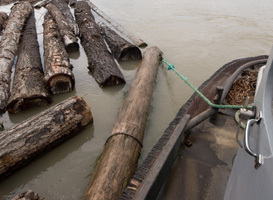 The Pitt River is one of the safest places to store log inventory away from the more severe environmental conditions such as fast water from spring freshets or winter’s big tides and ice. 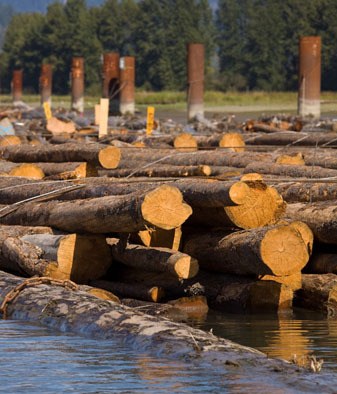 Not only do we physically confirm your inventory in our storage areas twice per month, but as we normally travel this area daily, we can recognize and deal with potential log loss concerns in a timely manner. 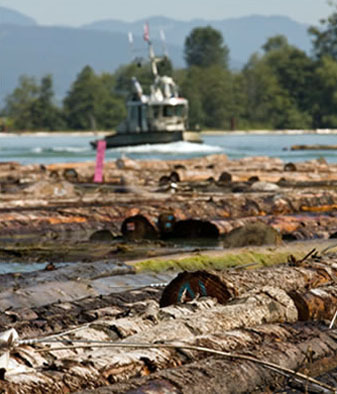 Forrest Marine Ltd. specializes in re-stowing, repairing booms and securing logs in booms for safe transport and to prevent log loss. 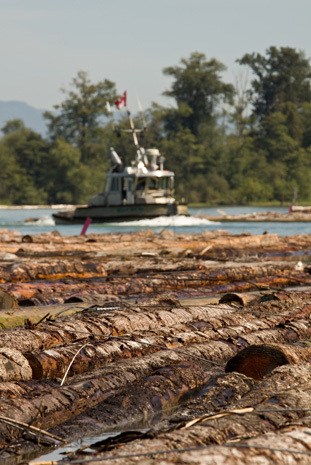 Vessels and equipment are at the ready to do log salvage and deadhead clean up, both floating and submerged. 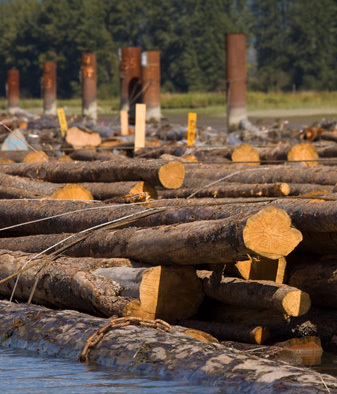 From breaking down bundles to re-manufacturing boomsticks, Forrest Marine Ltd. have sidewinders and equipment to meet your sorting needs. 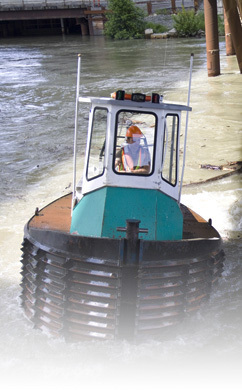 We also have dock facilities and small barges for loading and transfer of boom gear. Web Design and Hosting by Red Fish Web Solutions Ltd.